Get ready for Easter using your player deductive skills! 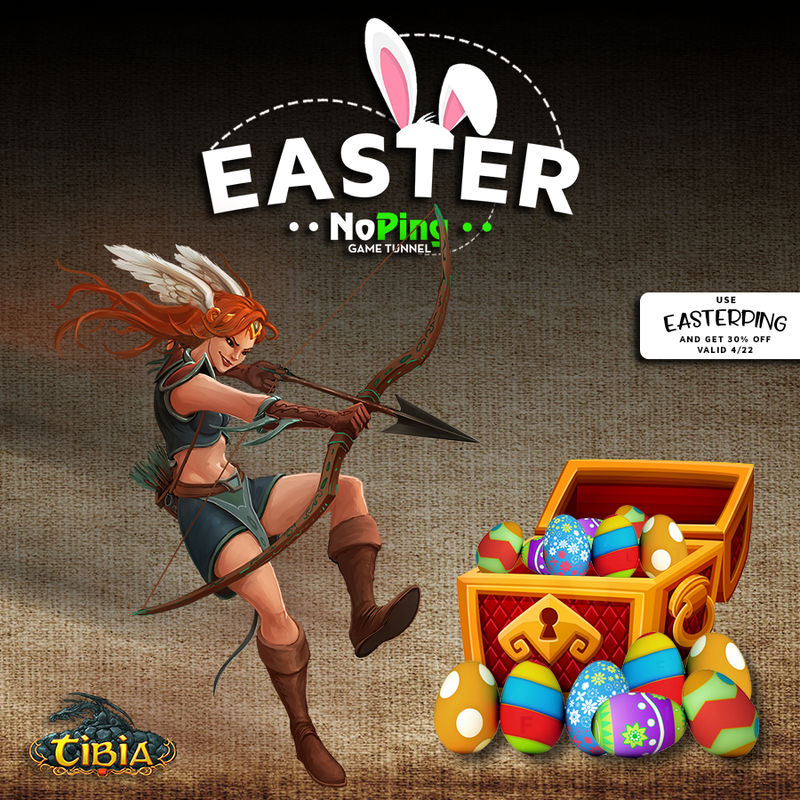 From Monday (15) to Friday (19), follow the clues available on Facebook, Instagram, and Twitter of NoPing and find award-winning eggs filled with gifts that should not be missed by any gamer. Your mission is to observe the image of the day, to find the letters hidden and to follow the tips, searching in our site to be able to build the keyword. Send a message to our inbox immediately as soon as you complete the goal and guarantee your victory. Also, you can use the "EASTERPING" coupon and get a 30% discount on the purchase of any plan. The promotion is valid until April 22, so don't miss this opportunity! Stay tuned to our Social Media and be a winner. How about reducing your ping on your favorite game and still obtain amazing prizes?